This week’s Melodic Tonic brings you six tunes to start your week, instead of arriving on Wednesday. This mini playlist takes you on a journey of sound from Copenhagen to Seattle, with new music that ranges from brooding darkwave/post-punk to soulful indie pop and intimate indie folk. Let’s start with a pair of Danish bands since one is performing at Canadian Music Week that starts tomorrow. 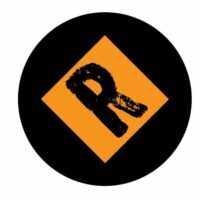 You can follow The Revue’s team coverage of that festival on our social media channels. What better way to start the week than with this pensive new single from Danish post-punk/dark wave trio The Foreign Resort? Fans who have been waiting for a follow-up to their 2015 The American Dream EP can rejoice. Although we still don’t have a release date for their upcoming LP, this single will help alleviate our impatience. Anyone who is just now discovering Denmark’s best musical export since The Raveonettes is in for a treat. The Foreign Resort create vivid soundscapes that are reminiscent of The Cure in their early days, as well as modern shoegaze titans Slowdive. 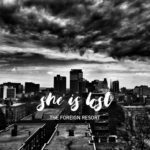 “She Is Lost” continues where “Suburban Depression” leaves off, though tinged with brighter shades of grey. This song leaves no emotional stone unturned as it examines the reasons why a relationship has ended. It is gripping yet cathartic, with powerful synth lines and driving percussion that highlight frontman Mikel Jakobsen’s vocals. Every layer of this song pulls you closer to its brooding heart, but it never pulls you down. This single officially releases April 19th. The full album is due later this year, while their back catalog is available on Bandcamp. The Foreign Resort kick off a 10-day Canadian tour in Toronto on April 20th as part of Canadian Music Week 2017. The Foreign Resort are: Mikkel B. Jakobsen (vocals, guitar), Steffan Petersen (bass), and Morten Hansen (drums). 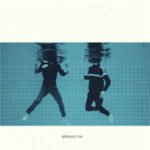 When you listen to “Lost in the City” from Danish duo GENTS, it will be easy to get lost in the melody. 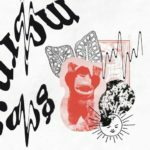 The song’s bright, synth-driven tones are perfect examples of the brilliant synthpop that has been steadily coming out of Copenhagen lately. GENTS is the project of Niels Fejrskov Juhls and Theis Vesterløkke. They first attracted the attention of critics and fans in late 2015 with the release of their debut EP, Embrace the Future. This was an ironic title for a band whose music is so heavily steeped in ’80s New Wave synthpop, but we loved both the humor and the album’s vintage sound. Now with the arrival of their debut full-length, About Time, it’s clear they have retained all the things that made Embrace the Future so satisfying. “Lost in the City” builds gradually, showing restraint in the first verse. But by the middle, they let the synth and percussion breathe a bit more. The end is dazzling when they really unleash the fun for the last 45 seconds. Perhaps they’ll release an extended remix, because starting at the 3:38 mark is when you really want to dance. About Time is out now via The Big Oil Recording Company. You can get it on Bandcamp and iTunes. Last summer a French indie dream/psych pop band released a stunning four-song EP that didn’t get the attention it deserved in the US. Fortunately, the good folks at Topshelf Records are giving Good Morning TV a helping hand by re-releasing this EP as part of their cassette series. 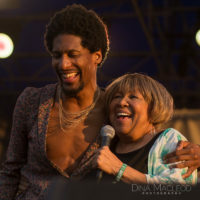 “Ordinary People” is the first single on the band’s self-titled EP, but ordinary is certainly not a word you should use to describe it. It’s lush and mesmerizing, with layers of reverb-drenched guitars that are positively hypnotic. Here’s why you will fall in love with this band: lead singer Bérénice Deloire has angelic vocals that are even dreamier than Melody Prochet’s of Melody’s Echo Chamber. The hazy psychedelic cloud on which those vocals soar is exactly what you need in your life right now. If Tame Impala had a female lead singer instead of Kevin Parker, this is what they would sound like. “Ordinary People” is simply exquisite. Topshelf’s website has order details here. If you prefer digital or vinyl, you can find the EP on Bandcamp. Good Morning TV are: Bérénice Deloire, Barth Bouveret, Thibault Picot, and Hugo Dupuis. The current trend of bands borrowing from the ’80s shows no signs of letting up, and that’s fine with us. While most modern bands lean heavily on synths for their vintage sounds, too few indie bands add a saxophone for sonic enrichment. That’s why this new single from emerging Los Angeles band The Broken Hearts really stands out. “Tomorrow Night” is retro and modern fused into one sleek package. The trio of Louis Filliger, Wyatt Blair, and Dan Maroti have a winning formula here. If this is how great the first single sounds, then their upcoming Lost in Little Tokyo debut album will likely bring them countless new fans. This single is available now in digital format from their Bandcamp page. 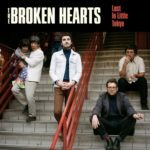 The Lost in Little Tokyo cassette arrives April 28 via Burger Records/Lolipop Records. Sibling duo Clyde and Gracie Lawrence – aka Lawrence – are the new “it” indie pop/soul group you should know. 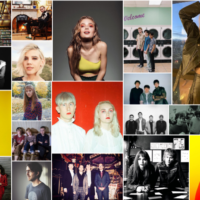 You may have seen their name on nearly every US summer festival lineup; they’re playing coast to coast, from Boston Calling to Outside Lands in San Francisco. But chances are you haven’t yet really gotten to know this talented pair. Hold onto your hat, because their rich, full sound will blow you away. Their “Where It Started From” is the perfect introduction. For starters, 18-year-old Gracie has powerhouse vocals on par with Kam Franklin (The Suffers) or Joss Stone while older brother Clyde’s smoky timbre has echoes of John Mayer. Together, they blend soulful crooning with smoldering, blues-inspired instrumentation that you would swear originated in a New Orleans club. In a nutshell, their music is pure fire. 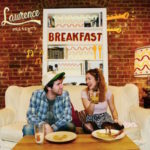 They recently toured with Robert Randolph & The Family Band, and Grammy winner Eric Krasno (Soulive, Lettuce) produced their debut album, Breakfast. This proves that Lawrence have the respect of industry insiders; now it’s time for fans to take notice. Word is getting out, so by the end of this year, Lawrence will be on many Best Of 2017 lists. One listen to this song will tell you why. Breakfast is available now from iTunes. 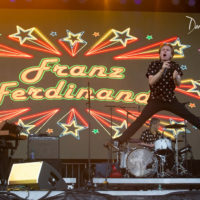 Check out their U.S. tour dates if you want to see them this summer. 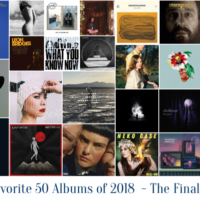 When it comes to heartfelt folk music, The Civil Wars and The Swell Season stand at the forefront of bands whose harmonies make hearts flutter. Now an emerging Seattle duo is poised to fill the void left by those disbanded groups. March to May channel the emotional honesty of Glen Hansard and Marketa Irglova, though with a guitar and Celtic harp instead of a piano. And similar to another indie folk from Washington state (Planes on Paper), March to May weave beautiful tales with artistic strings that will steal your breath away. Elegant and understated, “Madeleine” whispers its minor-key charms as it beckons for the title character to “turn your boat around / and live another day.” It’s haunting yet lovely. Darren Guyaz and Beth Wesche first discovered their musical chemistry five years ago at a bonfire under a full moon. That intimate warmth permeates each note of “Madeleine,” though the gentle instrumentation counters with the cool breeziness of a Pacific Northwest morning. Let this song’s dulcet tones wash over you whenever your soul yearns for tranquility. 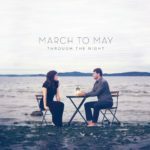 March to May’s crowdfunded debut album, Through the Night, arrives April 21 with pre-orders from the band’s website and iTunes. Their album release show is April 20 at The Triple Door in Seattle.